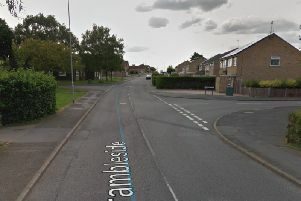 Police are appealing for witnesses after a four-year-old boy was involved in a collision in Crown Way, Rushden, on Saturday afternoon (August 5). The collision, involving a blue Ford Fiesta, happened near Waitrose at about 4pm as the boy was crossing the road with his family. Witnesses or anyone with information is asked to contact Northamptonshire Police on 101 or call the Drivewatch Hotline on 0800 174615.